Solar Dental in southwestern Ontario is a multi-location dental office seeking to be the utmost in patient-friendly service in dental care. 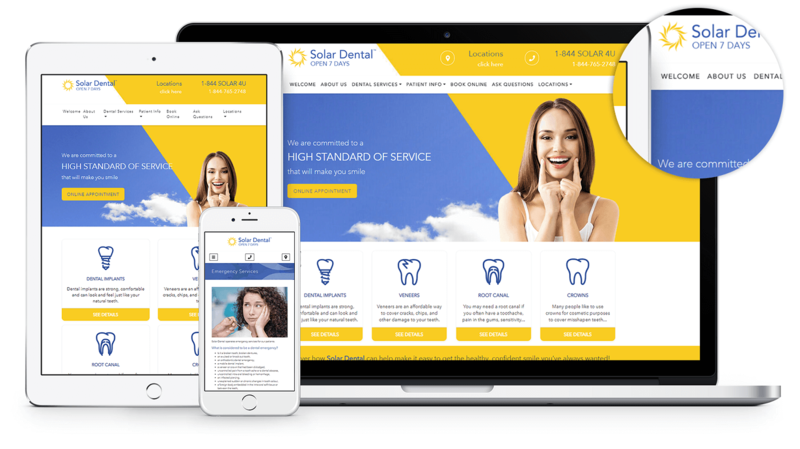 When it came time to update the website, Solar Dental chose MarketDental for the task of creating a well-structured site that would contain easily accessible features for each practice location. The new website for Solar Dental is fresh, bright, clean, and SEO optimized, with full responsive design. You can see the website at solardental.com.